When Jeremy Corbyn threw his hat into the ring last year, it was not meant to happen, it did not go according to the Blairite script. Blairities did everything they could to stop his election, one by one Labour Establishment has-beens were wheeled out one by one, granted a platform by mainstream media, to attack Jeremy Corbyn. Only it did not work, he was elected. Not only elected, but elected on the first round with a massive majority. He also worked with grass roots to engage with people, showed he was on their side, encouraged them to participate. Labour Establishment did everything to undermine, the Local Elections, ready to use that as an excuse to mount a coup, only he did quite well. During the EU referendum they remained silent. Jeremy Corbyn, a lifetime opponent of the EU campaigned to stay in but only to highlight how bad and to campaign for reform from within. People voted to Leave, they saw EU was beyond reform. Jeremy Corbyn accepted the result. But not the Blairites, how dare he lose the entire campaign, he must be ousted. First out from under his rock war criminal Tony Blair himself, attacks Jeremy Corbyn. On cue, two Labour Members of Parliament table a Vote of No Confidence. Saturday night, Hilary Ben is exposed of mounting a coup, fired by Jeremy Corbyn, one by one, members of his team resign. The resignations were clearly orchestrated, as they all appeared to be singing from the same hymn sheet. One of those who resigned was Angela Eagle, who gave a pathetic performance on Wato (Radio 4 lunchtime news). How long did she rehearse before a mirror? The entire performance by Angela Eagle was fake. Days before a website had been registered for her leadership bid. were all registered by Joe McCrea, a former New Labour special adviser, adviser to Tony Blair, who now runs a communications consultancy in Derbyshire. The domains were registered on Saturday 25 June , that is one day before Hilary Benn was sacked as shadow foreign secretary for attempting to mount a coup against Jeremy Corbyn, and two days before Angela Eagle quit the shadow cabinet and gave her pathetic performance on Wato. According to The Canary, the coup against Jeremy Corbyn is being orchestrated by Portland Communications, established in 2001 by Tim Allan, a former adviser to Tony Blair. Sitting on the Advsiory Council of Portland, Alistair Campbell, who has recently crawled out from under his rock to attack Jeremy Corbyn. I’m told the Labour MP coordinating and choreographing the resignations is @ConorMcGinn – significant as he’s in Jeremy Corbyn’s Whips Office. He’s ringing shadow cabinet members and ministers, organising the timings and co-ordinating the resignations to try to cause maximum impact. This is significant because he’s one of Jeremy Corbyn’s Whips – tasked with ensuring party discipline. Her report then vanished, but had been copied by The Canary. The Canary also reports there are links with the Fabian Society. Conor McGinn was appointed chair of the Young Fabians, and is still active in the society today. And of course, Margaret Hodge, who co-penned the no-confidence motion, is vice president of the society. Take into account, also, Fabian journalists like Polly Toynbee calling Corbyn “dismal, spineless and lifeless” – and you may have your “committee of war”. Furthermore, former prospective parliamentary candidate and Fabian Will Straw called for Corbyn’s resignation – in his position as director of “Britian Stronger in Europe”. The more The Canary trawls through the links and personnel associated with Prtland, the murkier it becomes. Angela Eagle announced she was going to announce, her leadership challenge today. It never materialised. The coup plotters have mounted a coup, only they have no mandate, no backers. Now all that remains, is for supporters of Jeremy Corbyn to get rid of the coup plotters. We win elections by offering a vision of the future. Jeremy Corbyn and John McDonnell are doing that. Now we are in post-Brexit meltdown, is more important than ever that we offer a vision that we all can be part of. The alternative that offered by the discredited Blairites, is more of the same, money accrues to the rich, whilst the poor depend upon food banks. The criticism of Jeremy Corbyn by the coup plotters boils down to one simple truth, we don’t like him, he is not one of us, he is not motivated by power or greed, getting his snout in trough, fiddling his expenses, he actually believes in old fashioned decency, serving the people. And unlike most Labour politicians who are despised by the public, he is actually liked. The bomb is ticking under the Blairites. Next week the Chilcot Report will finally be published. There is a very simple rule in the Labour Party, one member one vote. It was on that basis Jeremy Corbyn was elected. But 172 Labour MPs think they are superior to the ordinary members who voted overwhelming for Jeremy Corbyn. A Labour leadership candidate forging an alliance with the party's right is just launching a kamikaze bid. Surely this is obvious. Another constituency chair said: "It’s an absolute outrage. You’d think these characters were sleeper agents for the Tories." Patrick Smith, secretary of Hull North told @lewis_goodall: "If they don't listen to the membership then they should just leave"
There is very little support for what duplicitous Labour MPs have done, either from Party members or from the public. Angela Eagle has decided to mount a leadership challenge. This is against the express wish of her local Labour Party, who have asked her to support Jeremy Corbyn. There is now a petition circulating in her constituency calling upon her to resign. Who is she? What is her track record? Angela Eagle voted for the war in Iraq. Angela Eagle voted against an inquiry into the war in Iraq. Angela Eagle voted to increase student fees. If we look at Labour MPs, abstained when the Tories voted for massive welfare cuts which hit the poorest in society. What members must now do is is table a Vote of No Confidence and push for de-selection. At a time when minds should be focused on a post-Brexit future self-indulgent Labour MPs decide to destroy the Party. It started Friday morning, war criminal Tony Blair crawled out from beneath his rock and attacked Jeremy Corbyn, it Brexit was his fault we were leaving the EU. On cue, two Labour Members of Parliament tabled a Vote of No Confidence in Jeremy Corbyn. BBC played its usual role, a platform given for anyone who wished to attack Jeremy Corbyn. Saturday night, it was learnt Hilary Benn was plotting a coup to remove Jeremy Corbyn. Early hours of Sunday morning Hilary Benn was fired. Hilary Benn was the man responsible for running Labour Leave campaign. One by one, the coup plotters outed themselves each granted a platform calling for Jeremy Cobyn to go. Pathetic listening to Angela Eagle on Wato Monday lunchtime, Jeremy Corbyn did not engage with people, it was his fault we were laving the EU, and to cap it all, she had sent him a text message that morning and he had not yet replied. Sunday Hilary Benn was given a platform, he accused Jeremy Corbyn of lack lustre campaign, of causing UK to leave the EU. The usual shoddy reporting by BBC, Jeremy Corbyn accused of lacklustre performance, of there being a revolt against him in the Labour Party, of losing the support of Labour MPs. One the strengths of Jeremy Corbyn is his ability to engage with people. We saw this during his leadership campaign, where not only did he engage with people, he engaged with young people, which is more than Hilary Benn and his coup plotters could ever achieve. Blaming Jeremy Corbyn for losing the referendum, is to completely lose the plot of a referendum. It is for the people to decide, not be dictated to by politicians. And what of all his critics, what were they doing to bring people on board? Remain in the EU, never had the full support of large sections of the Party or of Trade Unions. The stance Jeremy Corbyn, John McDonnell, Paul Mason and Yanis Varoufakis took, was an honest one, that there was not a lot of good can be said of the EU, but we need you on the inside to help with the fight to reform the EU. 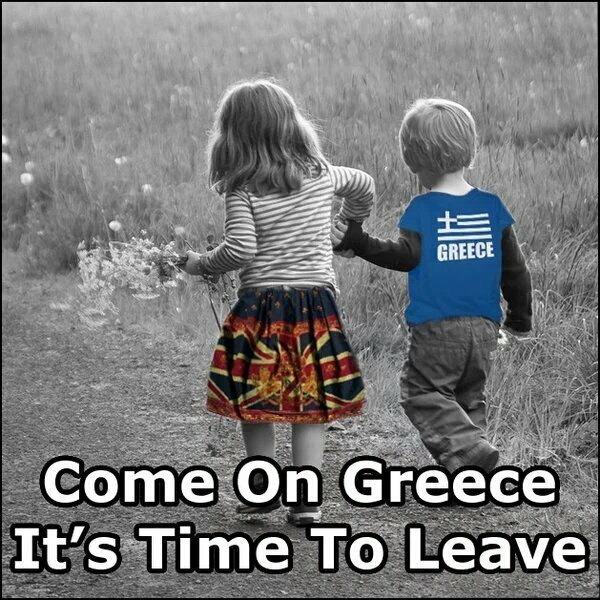 There were others, whilst they sympathised with that viewpoint took a more pragmatic viewpoint, the EU was beyond reform, was better to leave. Jeremy Corbyn et al have respected the decision to leave the EU, they see their argument to stay and fight, did not gain sufficient support, but we are all still on the same side and must now join forces. Contrary to the reporting by the BBC, there is not a revolt within the Labour Party against Jeremy Corbyn, there is a coup by embittered Labour MPs. Labour has and ideal team of Jeremy Corbyn and John McDonnell. Labout MPs have still not got their head around why they lost the last election. Do they really think they can win an election with a party apparatchik like Hilary Benn leading the party? Under Ed Miliband people held their nose and voted Labour. Lose Jeremy Corbyn and John McDonnell and Labour goes the way of the LibDems and Labour in Scotland. We are now in a period of national crisis. Labour should be consulting across the country, working wth the Tories, how we want our future to look outside the EU. Instead we have Labour MPs with no mandate to do so, indulging in a defeatist self-indulgent coup. Their action will not be forgotten. It is this type of behaviour why the public hold politicians in contempt. Were Jeremy Corbyn to go we would have two mainstream parties, both of which are puppets of global capital and the bankers. Why now? Publication of Chilcot Report is days away and when published Blair will be so toxic, no one will wish to be associated with him. Activists have to turn up at their local parties and remove these Labour MPs. Please sign the on-line petition showing you support Jeremy Corbyn. Two weeks ago in Lidl, boxes and pallets everywhere in the aisles. Quite dangerous. The usual piss-poor service. Last week, again piss-poor service. Today, pallets and boxes in the aisles, though not as bad as two weeks ago. I pushed boxes to one side to stop people tripping, and explained to the shop girl, she should not be leaving boxes in the aisle, someone could trip. They have got eyes have they not, was the response. Do their staff have no health and safety training? I explained to the girl, if someone tripped, she was liable, as was the store. Once again the usual piss-poor service. Why was one of the aisles in Poundland blocked off? The ceiling had collapsed, and asbestos had been exposed. I was horrified. Why was the store open putting staff and customers at risk? The store should be closed, the risk assessed, and not reopened until the asbestos is removed. A couple of weeks ago at The Queen Hotel in Aldershot, I had a rump steak. It was excellent. Last week, gammon steak. It too was good. I asked did it come with anything? I was told no. I was thus annoyed to find it came with two fried eggs, as I would have chosen something else. Today, at The Queen Hotel, I ordered gammon steak, but this time asked for something else instead of eggs. For example peas or mushrooms. I sat and waited. From where I was sat I could see a dinner sitting by the kitchen. Why was no one bringing it to a table? Was it mine? Several minutes passed by. A man and a child sat at a nearby table. They had to clear the table. Should I go and ask? Eventually it was brought over having been stood for several minutes. 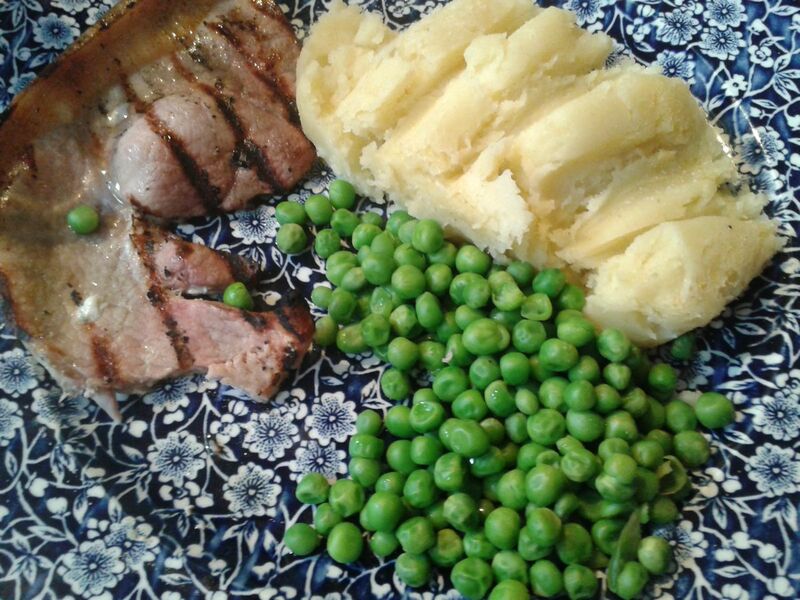 Part of the gammon steak was dried up, the meal was not hot. I guess I should have rejected it. Whilst I was eating my dinner, no one cleared the tables, now piled with dirty dishes, empty glasses. I noticed other dinners sat by the kitchen, no one collecting. No one asked how was my dinner. The pub was not busy. Service is not usually bad like this. Something going very wrong. J D Wetherspoon chairman Tim Martin needs to investigate. It was only when finding Curries From Home were not at Farnham Carnival, mentioning to a stall, and they said Garden Party was today, that I learnt it was today. Off I went, finding Curries From Home not there, I returned to the Carnival until after the Carnival Parade. Much nicer atmosphere at the Garden Party. Live music all afternoon until late. Disappointed no Curries From Home, as their food excellent. They were not at the Farnham Carnival either. They usually di both. There was a hog roast. It was not very good, though I ate late, and the pork would not have been at its best. No Dylan with his icecream van. Talking to people, they are scared of Brexit. Maybe they have good cause to be. We do not know what will happen next. But it was the correct decision to leave. I tsayed later then I wosihed, I could have stayed later, but dark clouds were thertening heavy rain. Special tahnnks to our lovely host, who I tahnnked as I left. I arrived later than I wished, but it was raining earlier. River Wey fast and muddy. Why has no one repaired the bridge? Very dangerous with many of the bars missing, and all that is stopping kids falling in is plastic netting. Very disappointed to find Curries From Home not there. Not only was I looking forward to their excellent food, I also wished to know when the Garden Party at the Old Vicarage, as they always do the food. Talking to a stall promoting local grown food, they said, Garden Party was today. At least that explained why Curries From Home not at the Carnival. Off I went, only to find they wee not there. A Hog Roast. Why do they have to have these awful burger vans and other tacky food stalls? Can they not find local food, as they have at Staycation Live in Goldalming? I had a long chat with the local food stall. They told me of empty space in Farnham. I said have designated as ReSpace, talk with whoever owns it, and follow the example of The Hive in Dalston. I was not going to bother with the Carnival Parade, but noticed Gostrey Meadow had emptied, and decided I would. The man making announcements was not as bad as previous years, at least he kept quiet most of the time, but he gave every impression of being pissed out of his brain. Oh Look, oh yes, a lorry. I came back, to find Gostrey Meadow was already busy. Obviously most people thought the Carnival Parade not worth bothering with. A wise choice. I noticed all the stalls remained. I can only assume a condition was, they had to remain until the end. This would be sensible, as in the past it was ridiculous, late afternoon, and all the stalls pack up. It was then back to the Garden Party where I found a much nicer atmosphere. You are currently browsing the Keithpp's Blog blog archives for June, 2016.